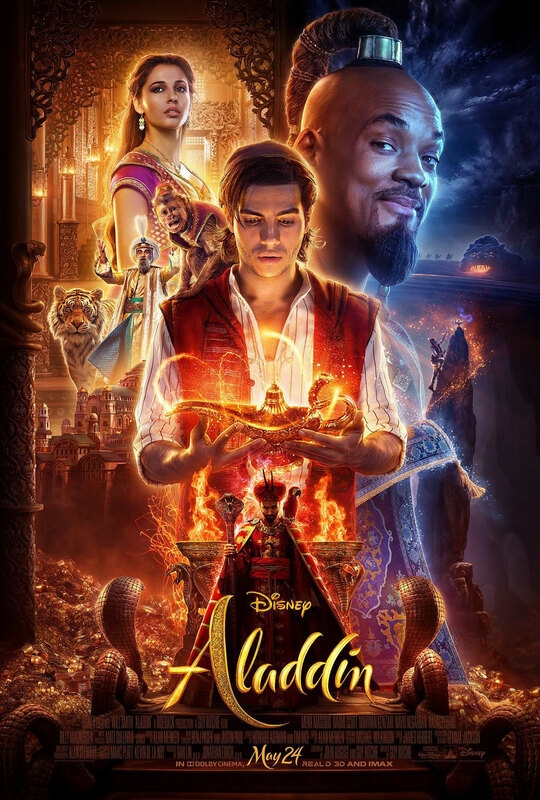 Genres of this movie are; Musical, Romance, Fantasy and Adventure and it will be hitting the cinemas on 24th of May 2019. 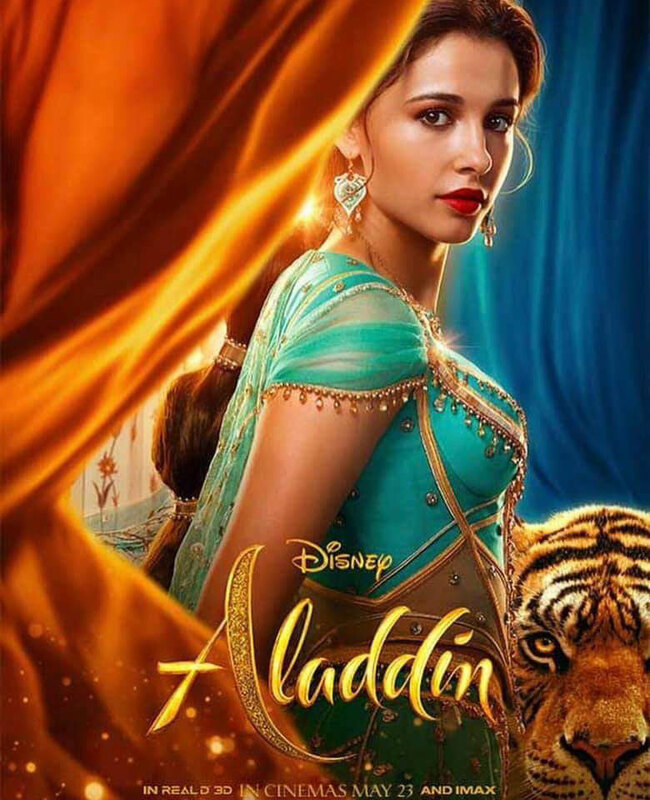 Musical adaptation is directed by Guy Ritchie and lead roles are played by Mena Massoud (Aladdin), Naomi Scott (Jasmine) and Will Smith (Genie). 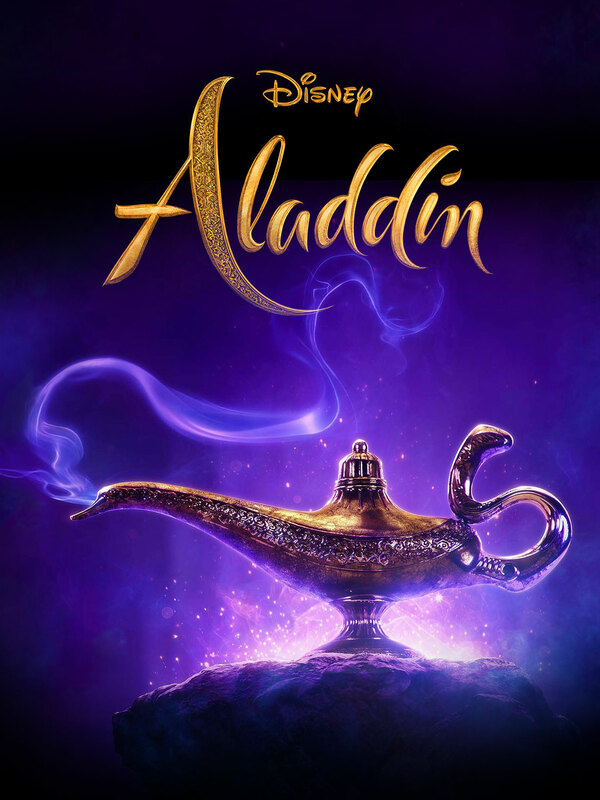 This is how the movie is going to progress; starting from Mena Massoud, he will be seen as playing the protagonist, Aladdin. 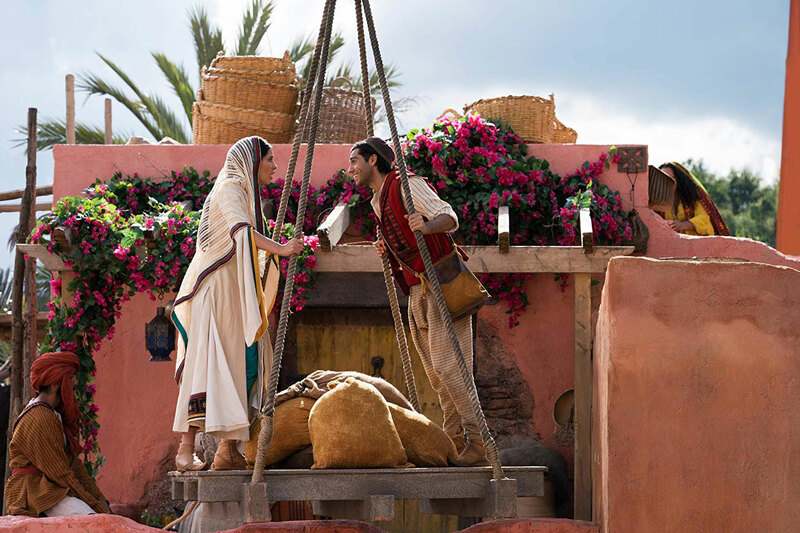 He is known around the streets of Agrabah as a thief. 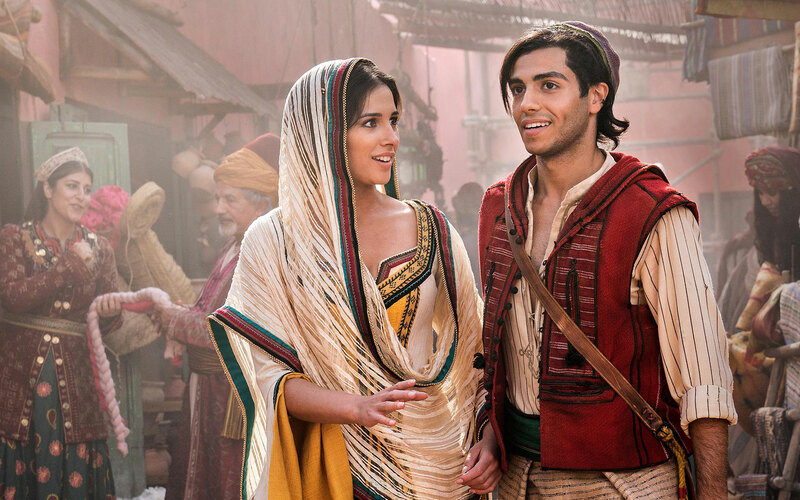 And then he will impersonate a prince so that he can win Jasmine’s heart whereas, Naomi Scott is playing the role of Princess Jasmine. 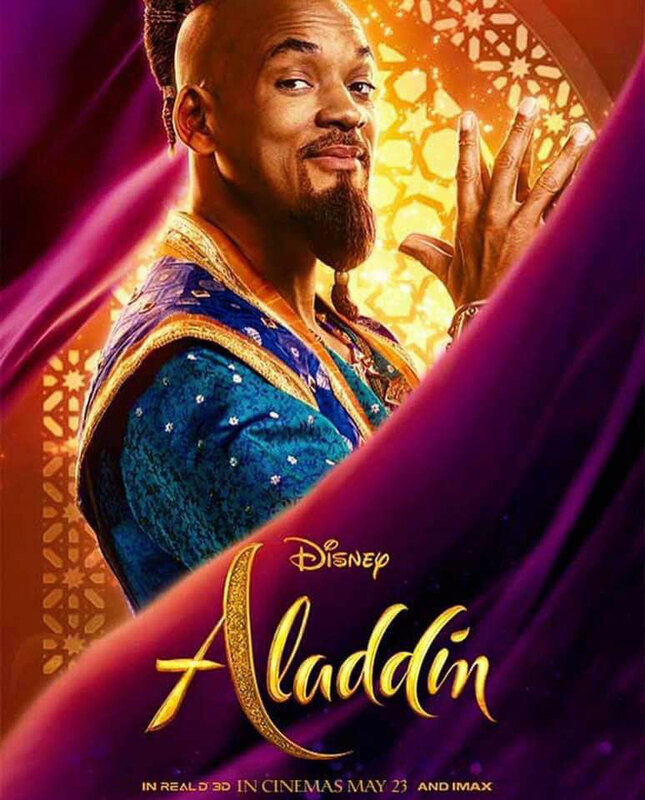 And finally, Will Smith plays the role of Genie. The character was voiced by the Robin Williams (Late) in the animated version which was released in 1992. And now Will Smith is excited to bring the hip hop flavor to the character. 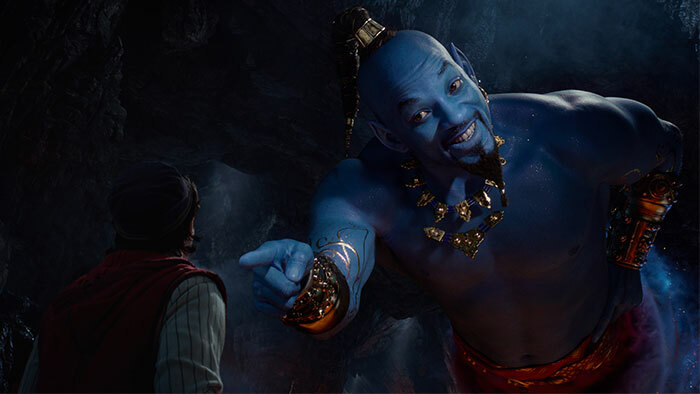 Will Smith appearing as the Genie became somewhat controversial when the first look photos were released because he doesn’t happen to be blue but the air has been cleared by Smith himself that Genie is definitely going to be blue and it will be mostly CGI but human version of the Genie will also appear at some points in the movie. 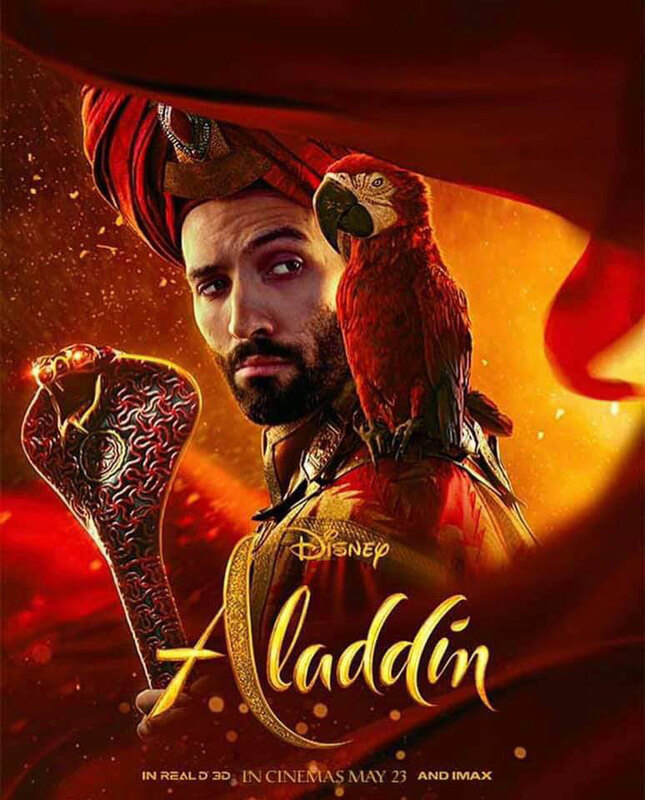 In addition to that, these people will appear too; Marwan Kenzari as Jafar – the wicked grand vizier of Agrabah who has plans to overthrow the Sultan, Navid Negahban as the Sultan, who is hoping to find a suitable life companion for his daughter Jasmine. 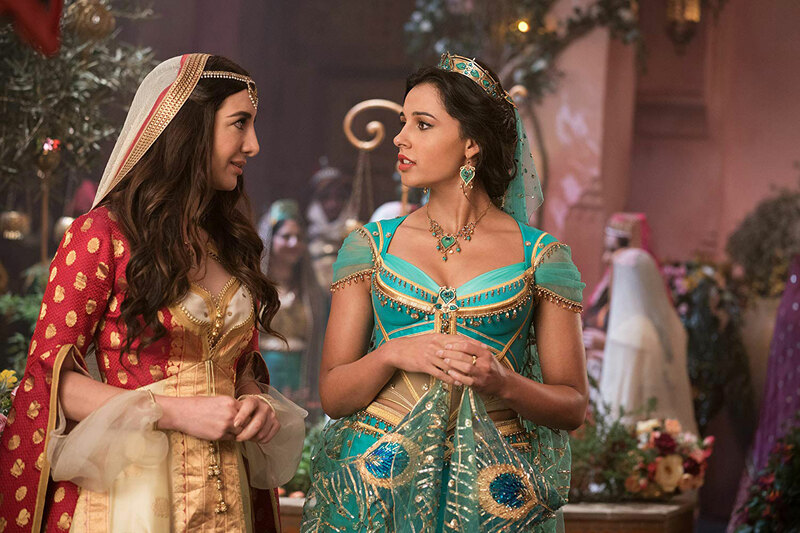 Nasim Pedrad plays the role of Dalia – the handmaiden to Jasmine. 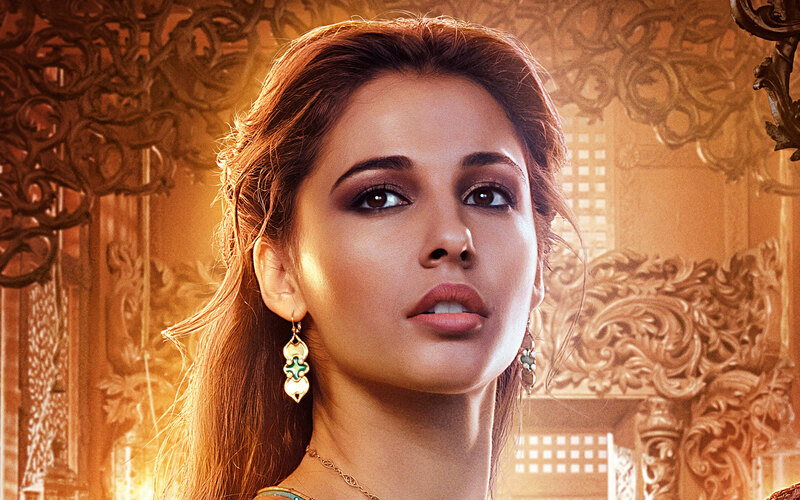 Dalia did not appear in the animated version of Aladdin but she will serve as the confidante of Jasmine in this 2019 version. 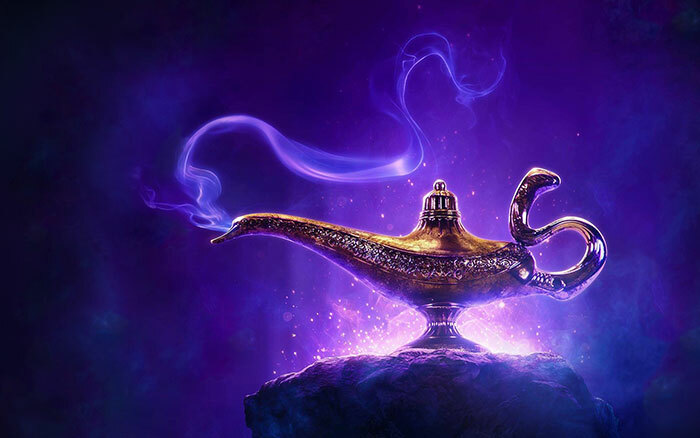 We love Aladdin as much as you do but right now we are focusing on his magical lamp. Just look at the color scheme and how nicely they are blended to create a very magical image. We cannot stop admiring the flickers of light which are surrounding the lamp while the blue and purple tones are adding more to the beauty of the image. We love these wallpapers collection because of its details and how balanced the images looks despite of these many colors in it. And the blue genie is giving more perspective to the overall image. 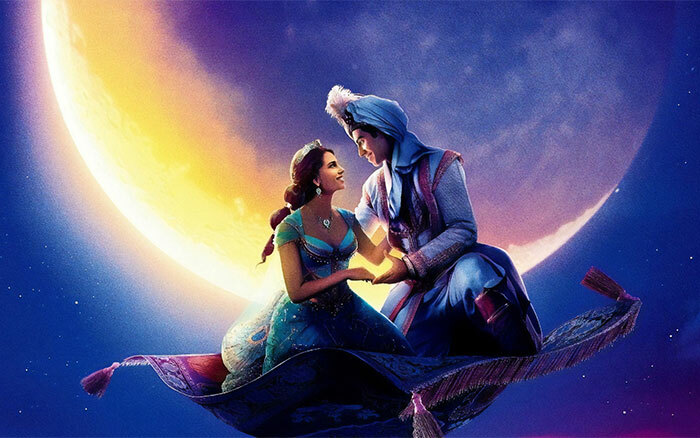 In this movie you will also love the bond of Aladdin & Abu and that’s the main reason we included this image in our list for you. 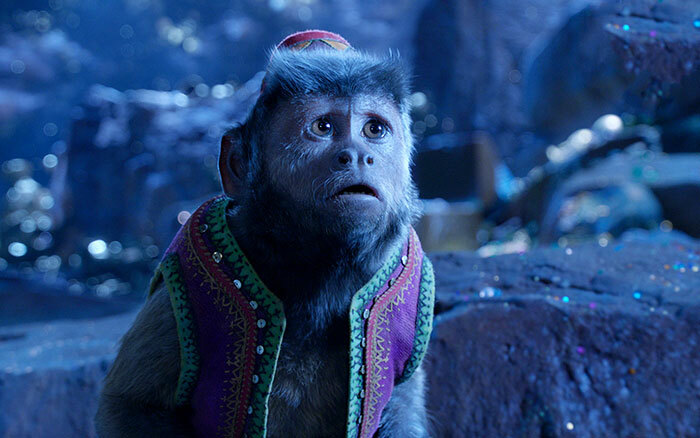 You can see Aladdin’s confusion but what makes the image more interesting is the terrified look on Abu’s face. 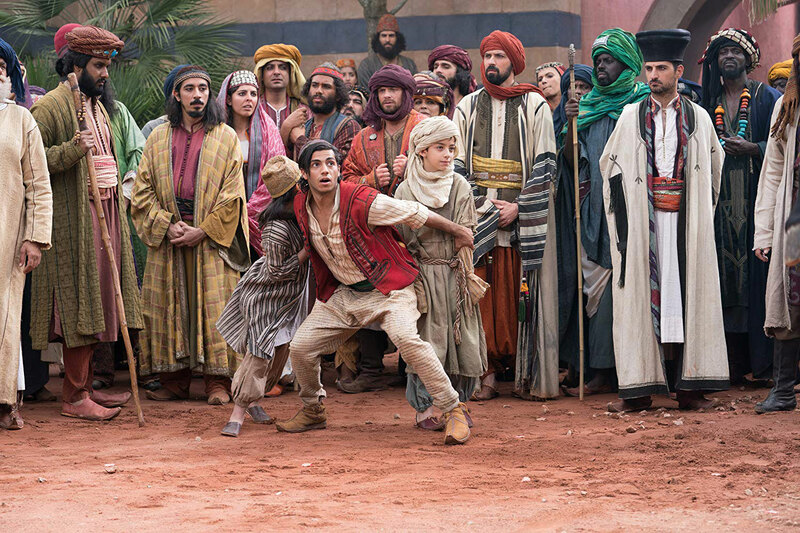 We all know what happens when Jafar disguises himself as a beggar and takes Aladdin and Abu to the Cave of Wonders but we have seen that in the cartoons. 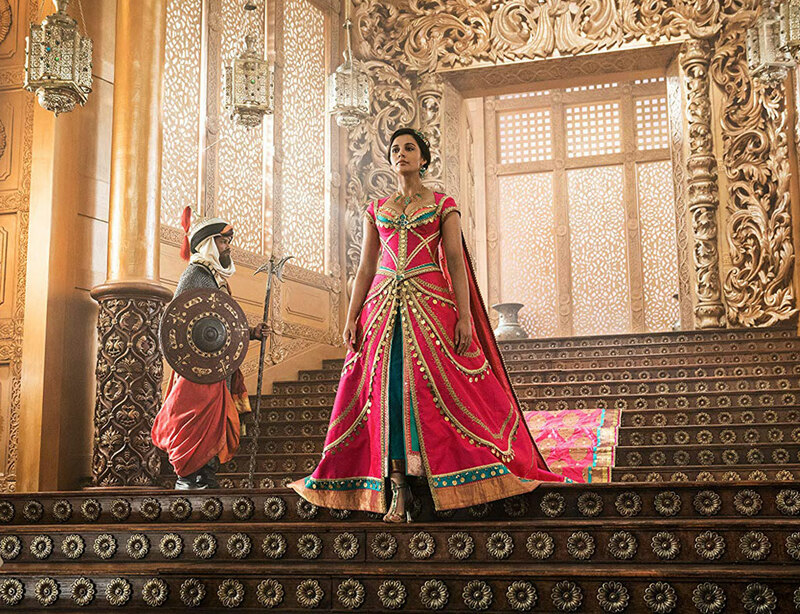 What we have for you here is an image from the Aladdin movie. 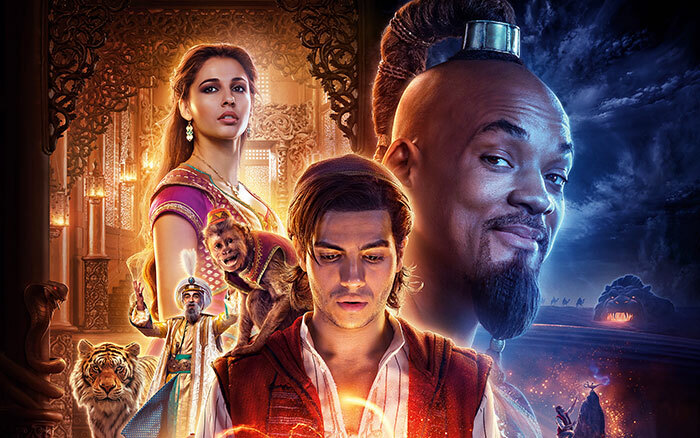 You can notice how intrigued Aladdin looks as he is about to hold the magical Lamp is his hands. If you love wallpapers with darker tones then you gotta download this one. Download wallpapers and set them to your desktop screen to make a beautiful makeover and a great change for your screens.